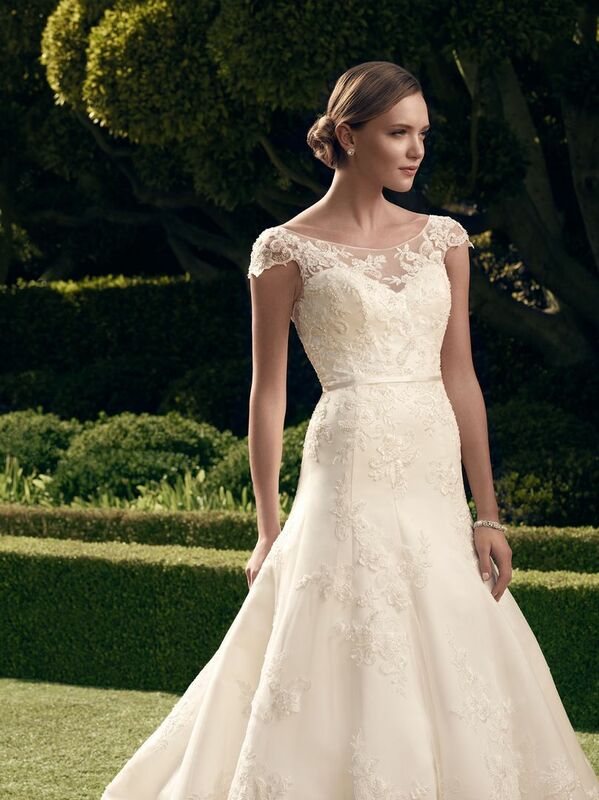 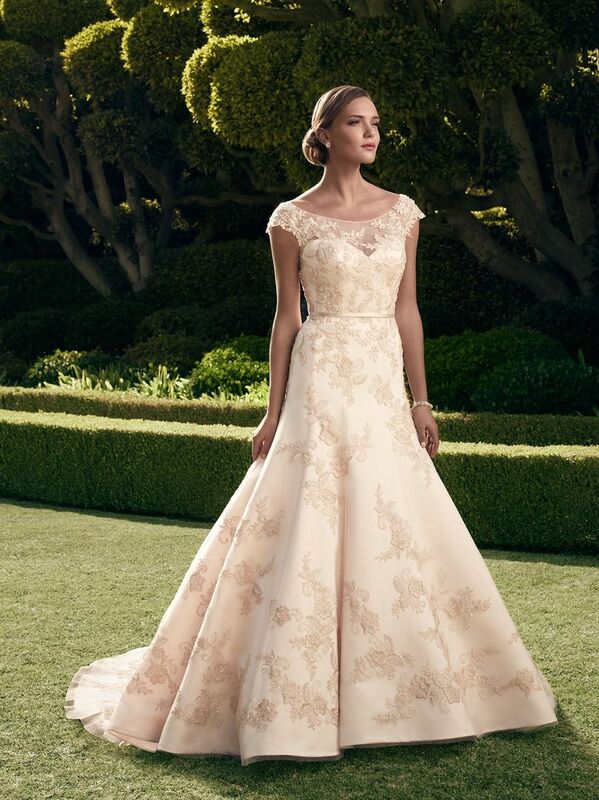 Beaded lace appliqués on tulle over Silky Satin create this fit and flare silhouette gown. 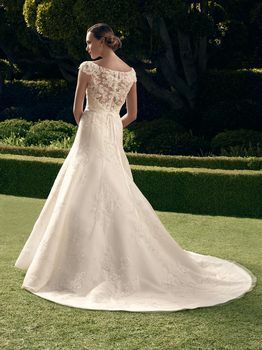 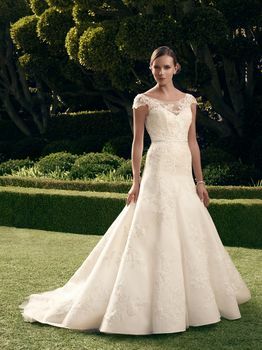 This lace gown features a bateau illusion front and back neckline with cap sleeves, with a satin bodice lining that has a sweetheart front neckline and low “V” back neckline shape. A detachable ribbon sash accents the waist.